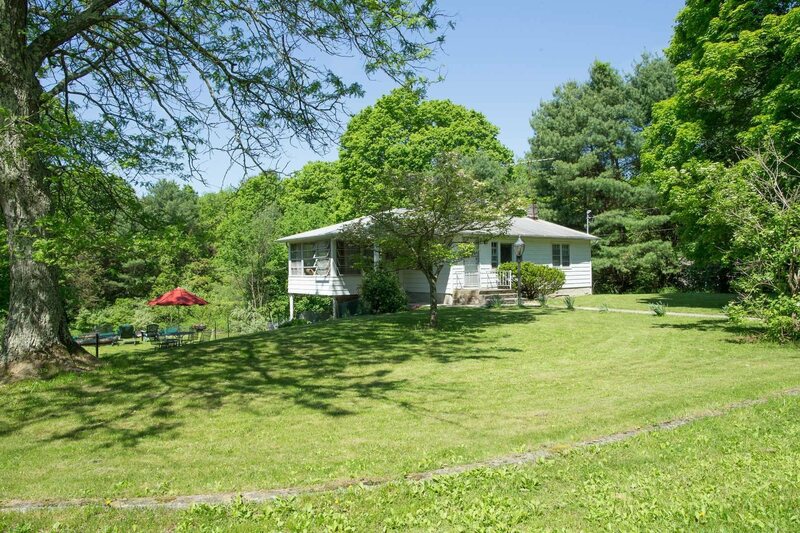 Tranquil 1.4 Acres of nature nestled between a horse farm and babbling brook. Mature plantings, perennials, fruit trees and natural landscaping. Great property for a weekend getaway or first-time buyers with the potential to make it their forever home--plenty of space to expand. This 6-room, ranch-style cottage is very private yet only minutes to Metro North and 90 minutes to NYC. The Appalachian Trail, Ten Mile River, restaurants and shopping are nearby. Living Room, Kitchen, two Bedrooms, Bath and enclosed Sun porch on main level. Partially finished walk-out basement with third Bedroom, Den/Office, Bath and laundry area.